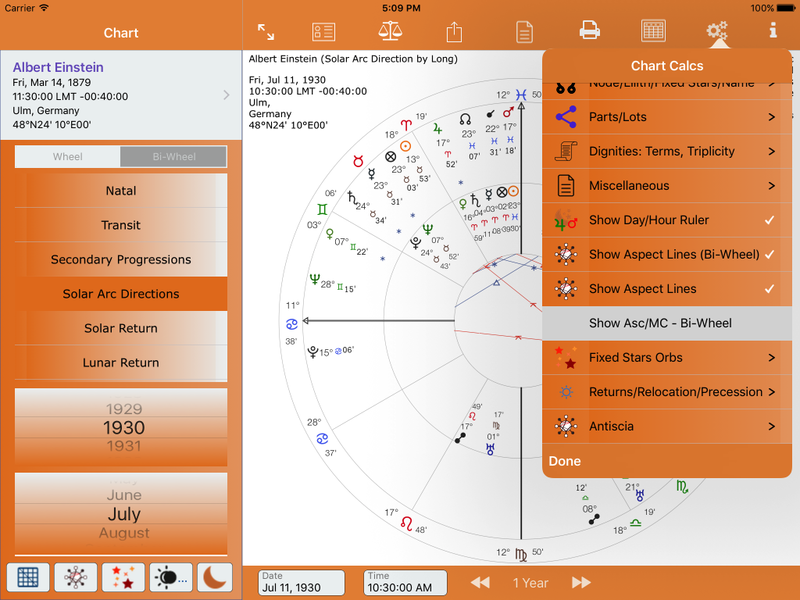 Midpoint aspect lines can be shown for all types of charts, except antiscia charts. Aspects include those to/from the Asc and MC. 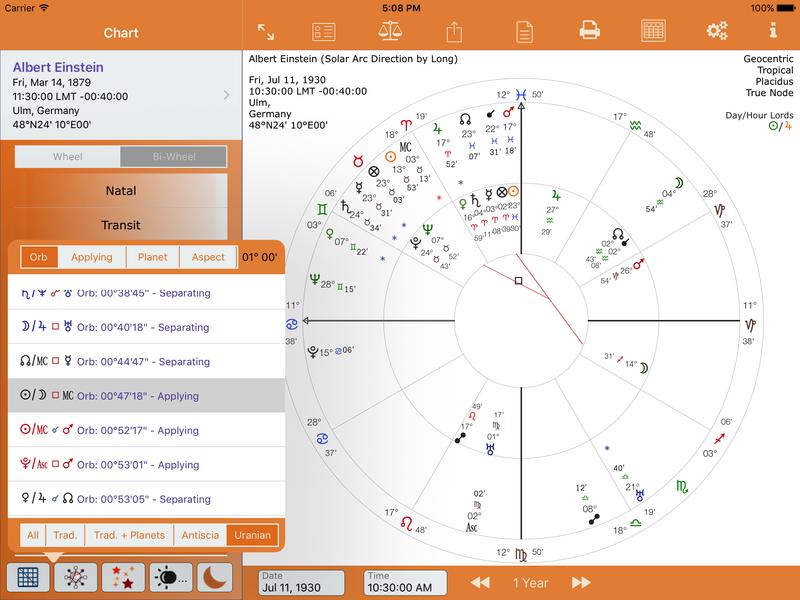 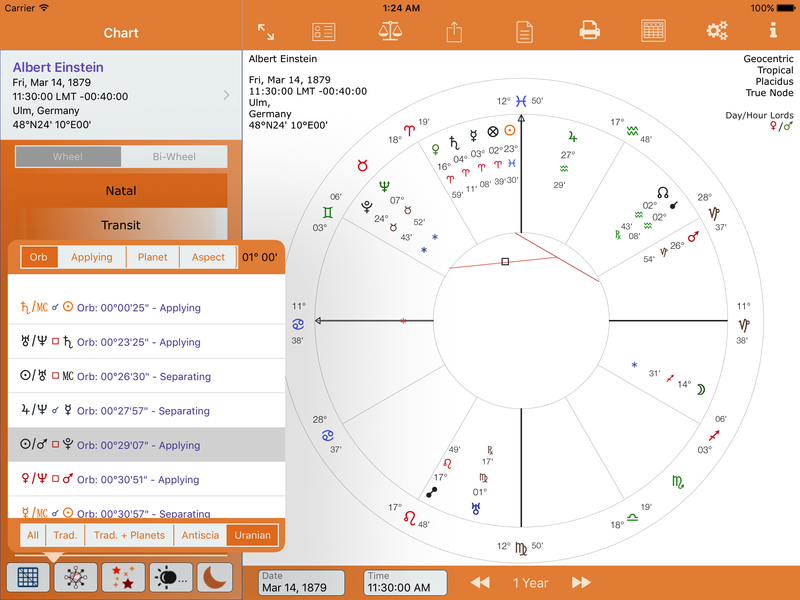 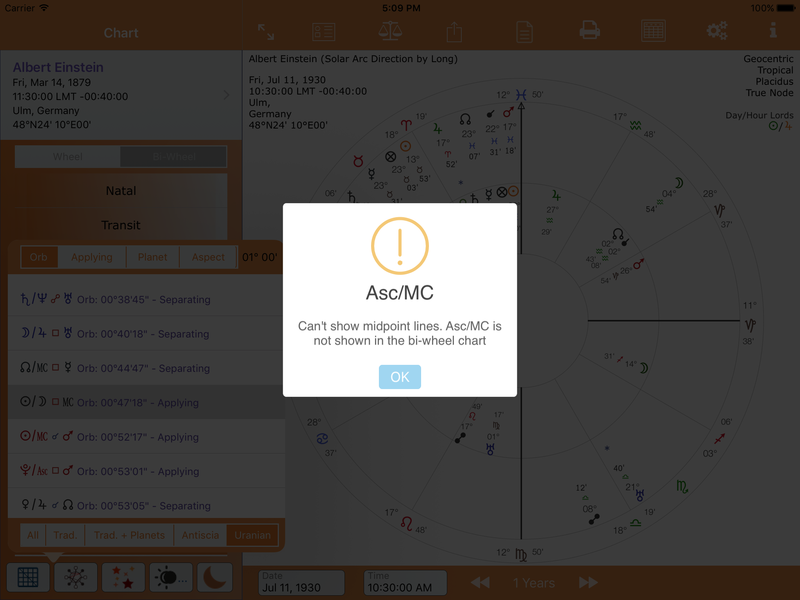 If the Asc and MC are not shown in a bi-wheel chart the midpoint aspect is calculated and is listed in the midpoint table but the midpoint lines can’t be shown if the ASC or MC is the aspecting point.